This book helps you to over come the many pitfalls of self-publishing BEFORE you fall prey to them. How do you get past everyone’s opinion of what your book cover looks like? How do you get an ISBN number? What is the difference between proofreading and copy editing? What is content editing? What is the best way to do interior design? 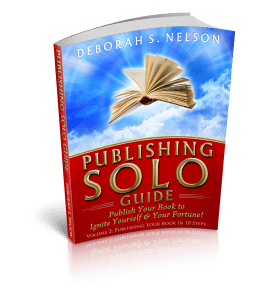 This book answers all these questions and more PLUS a bonus of “Publish Your Book Blueprint in 3 Days,” which will help you publish a personalized journal of what the book looks like and position you to publish your final book. The great thing about this book is it is like a workbook and you can actually use this as an instruction manual to walk you through all the technical steps of print on demand publishing to publish your book and make it available for sale in the largest bookstore in the world, Amazon.com.